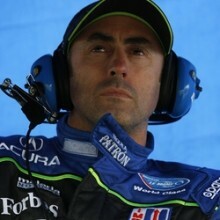 Accomplished sports car racer and member of one of the sport’s most famous racing families, David Brabham, is now on deck as the latest Online Driving Instructor. Questions can be posed until November 10, and his answers will be posted beginning November 11. Brabham, 48, is the youngest son of three-time Formula 1 World Champion Sir Jack Brabham. Brother Geoff also won the 24 Hour of Le Mans in 1993, and Geoff’s son, Matthew, is carving a promising career for himself in North America, having won successive scholarships via the Mazda Road to Indy, and will progress to Indy Lights in 2013 after winning the 2012 Cooper Tires USF2000 Championship Powered by Mazda and this year’s Pro Mazda Championship Presented by Cooper Tires. David’s son, Sam, is also pursuing a career of his own after starting out in this year’s MSA Formula Ford Championship of Great Britain. Born in England and raised in Australia, David Brabham largely stayed away from the sport until graduating from high school. He began karting at age 18 and, after initial forays in a one-make Ford Laser series and Formula Ford, won the Australian Drivers’ Championship in 1987 before setting his sights farther afield. He won both the British Formula 3 Championship and the Macau Grand Prix in 1989, and made the first of two largely unsuccessful Formula 1 forays with uncompetitive teams in 1990. The bulk of Brabham’s successes have been achieved in sports cars. He won the All-Japan GT Championship in 1996 at the wheel of a McLaren F1 GTR BMW, the American Sportscar Championship in 1998 with Panoz, and claimed a pair of American Le Mans Series titles with Highcroft Racing and Acura in 2009 and 2010 in addition to his Le Mans triumph for Peugeot and consecutive Le Mans class wins with Aston Martin in 2007 and 2008. 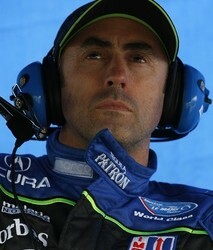 David Brabham answers your questions! What are the best tips you can give for learning a new race track? George, I find now the best way is to go to a simulator and do laps around the track, look at videos of some onboard data, if available, from a car that has run there before and do a track walk and make notes of potential markers around the track for braking. I will also take photos of the corners and straights on my phone so I can flick through them to learn the track. When I drive on the track for the first time I will look for those makers and see if they work or I have to find different ones, plus feel for any bumps that can also be used for references. You raced in the States for such a long period. How do you see the difference in terms of racing concept between North America and Europe? Marc, the racing is very different between the USA and Europe. I have been lucky to race in both and at the right time in my career. This is because I raced in Europe when I was young and was aiming for F1. Europe is very cut throat and less friendly than the US, which was fine when I was young, but as I got older I enjoyed racing in America because the racing is great and the paddock is more friendly. Also the FIA run their series much more strictly than the U.S. One example is I raced in the ALMS for 13 years and I never had to see a steward for doing something wrong. If there was a problem, an official would come and have a chat and that would be it. My first race in the FIA GT World Championship in 2011, I had to go and see the stewards three times — and one of those times they got the wrong driver! I am a fan of Formula 1 and I appreciate Sebastian Vettel’s skills, but I must admit it would be nice to see someone else win occasionally! What do you think makes him so good? Hi David, the thing that impresses me about Seb is his near perfection driving. You don’t see him make mistakes when on the track now and he seems to just get better. For sure he has the best car which makes a big difference too, but he still has to do it. This tells me his mental strength, his focus, is something special. It’s the same if you watch him qualifying, on the first lap of the race or his overall race pace – he is so fast, totally confident in himself and his car. The combination of Vettel and Red Bull is at one with each other and it is impressive to watch. I live in America and would love to race in Europe, but it seems to me that there are a lot more opportunities for young drivers in America right now, especially with the Mazda Road to Indy, whereas the European scene seems to be a bit of a mess with so many different open-wheel series. What is your take on this? I agree Martin, there are too many junior series here in Europe, but to really test yourself, European racing is the place to be. I wish that we had a system like the Mazda Road to Indy as it is so difficult for young drivers here to reach their dream of F1. But if your dream is to get to the top, then go for it and see how far you get. Do you prepare yourself differently for standings starts versus rolling starts (and restarts)? Any why do you think Mark Webber seems to have so much difficulty with his starts in F1?! Alexander, I don’t do many standing starts these days, but when I do it is normally in a V8 SuperCar in Australia. Regardless of the kind of start, I have found that it boils down more to how much I want to get to the first corner first. When you start a 24-hour race your intent, desire and obsession to get to the front is not as high as a sprint race. I also found the better prepared I am before the start the better they are. For Mark Webber’s starts, I really don’t know. I will ask him when I see him next if he knows! It seems odd that Seb (Vettel) gets it right but Mark normally doesn’t, but I am not close enough to make a judgment on it. Mr. Brabham, after having a very successful career in racing open wheel cars, what influenced you to make the jump to sport cars? Also, I was recently racing at Brands Hatch for the Team USA Scholarship and it was very cool to learn that the “Brabham Straight” was named after your dad. Thanks for your time. Hi Jacob, my moving to sports cars came about because I couldn’t continue in F1, which was down to bringing money to the table. When I went to F1 in 1990 I was too inexperienced and didn’t make the most of the situation – I went directly from F3 to F1. I then drove for Jaguar at Tom Walkinshaw Racing and gained a lot of experience and worked with a much more professional team than the F1 team, so I learned a lot more. I found I really enjoyed sports cars, so when my F1 career finished in 1994, I wasn’t too unhappy because I found my love of sports cars was greater than F1. Maybe if I drove for more competitive teams in F1 it might have been different, but I didn’t. Yes, it is cool to have the Brabham Straight at Brands Hatch. My father has a long history there and won many races including F1 races. John Webb, who used to own Brands, was a good friend of my father’s, so it didn’t take much for a part of the track to be called Brabham. How important is it to establish connections in the media, and how would I go about doing that? Hi Alexander, I have found it very important to have a relationship with the media, as they can be key to your career progression. If you are competing in a racing series you should know who is covering it in the press. Also, find out who you can contact in the local press in the area of where you live and give them information/updates on what you are doing and go meet them – like I said, establish a relationship with them. If you can provide them with the information then they are more likely to run a story about you than if they had to do it. Some “experts” seem to think it’s a good idea to work with a driver coach in the junior categories and others disagree. What is your take and did you ever benefit from working with anyone in particular? This is a good question Taylor. Yes, I do think it is a good idea to have an experienced driver coach – provided they are experienced in racing and, if possible, have a coaching qualification. I have seen a lot of drivers become driver coaches but I am not sure I have seen many who are that good, mainly because there is a lack of qualified coaches in our industry. In the UK the MSA, who are the governing body of British motorsport, have now put a coaching system in place which has been developed from other sports. I actually did a course and I am a Level 2 coach, but there are some drivers now doing a Level 4 coaching qualifications so the system is growing. Some of the best sportsman in the world of golf, tennis and athletics have coaches, but in F1 there are not many – not sure there if there any, to be honest. The better coaching you have, the better you can become. If you are serious about winning, you need to find any way to gain that extra performance. How do you envisage motorcar racing developing over the next 20 years? And are the “factory teams” going to be more of an influence in all the higher tier racing disciplines? Hi Bob, right, where is my crystal ball?! Although I can’t see the future, I do believe the future will mirror what the manufacturers and governments want. There are many challenges ahead of us, not just global warming, but more importantly the air we breathe. The big cities are having pollution problems by the unseen pollutants, so efficiency and clean energy will be the future of racing because the manufacturers will have to make these changes and racing will become the laboratory — well, it already is. Is it possible to become a top-line driver if you wear eye-glasses or contact lenses? Hi William. Gil de Ferran and Jacques Villeneuve did pretty good with poor eyesight! It’s not a problem as long as you have the proper correction. We all know that auto racing is dangerous. Safety has come a long way over the years, but it is still possible to get hurt. What are some of the methods you employ to minimize your chance of injury – and have you been in a situation where you’ve lost control of your car, for whatever reason, and you know there’s no chance of avoiding an accident? What do you do in that case? Hi Andrew, my father said to me when I first started racing, never give up in an accident. I am sure it saved his life many times, but I took it on board. I have had many moments where I just did whatever I could to avoid a big one and it saved me a few times. I once had a race in F3 and I knew I was having a head-on into a concrete wall at a bridge and I remember thinking to myself, well at least I am in a Ralt (chassis) and just relaxed when I hit the wall. I was fine, no damage; can’t say the same for the car though! How involved do you get in setting up your race cars? Do you think it’s important to have a good technical understanding of the cars? Kevin, I get very involved with setup and for me this is a big reason I have had a career for so long in racing. Although I am not a technician, I do know what a car does in relation to aero and mechanical balance and I will know what to do to make it quicker. Having a good feel for the tyres and knowing what that tyre needs is very important. What do you eat over a race weekend to help you with you energy levels? Are there any foods you avoid? Hi Marty, I am careful most of the time anyway, so my diet doesn’t change much. I don’t load up with pasta, as it seems not to be the right thing to do for me. Fruit and veggies give the body great fuel, so I would eat a bit more of that. There are so many stories about racing drivers in the past getting into scrapes on the open road, but it seems to me that attitudes are changing. How important is it for a racing driver to drive “sensibly” on the road? Stephen, good question. When I was young and foolish, I would drive way too fast out on the farm roads in Australia. When I moved to England in 1988, I slowed right down. If fact, my racing friends don’t like driving with me because I drive too slow. Having children also made me slower, as there is nothing like a driver driving too fast around children to make me angry. Each driver is different, but I think we have a responsibility to drive safely. It would be hard to explain how you hurt someone in a car driving too fast and you have to explain you’re a racing driver….! As a young racing driver, what is the best way to get sponsorship? Hi Sam, this is the million dollar question, racing is more reliant on the sponsorship dollar. I am sure there are driver who are better at this than I am, but a cold sale is always hard. If you can develop relationships with people it makes it easier. You also need to have a good idea what you’re selling and why the sponsor will benefit. Any B to B will make quite a difference. I’m really interested in the history of the sport and am so impressed with the SAFE is FAST website. My thanks to everyone involved in the RRDC for putting this together. My question to you is this: in terms of safety, it was a very different sport when your father was racing, so how supportive was he when you were trying to get into the sport? Ha, good question, James. My father was one of the lucky ones to get through that era of racing, so when his sons wanted to go racing he was reluctant to help us to begin with. When we just kept going and showed we really wanted it, he then started to get behind us. Our mother Betty was the one who suffered the most! If a driver aspires to go professional racing, what qualities or racing techniques does he need to separate himself from the rest of the amateurs? Hi Michael, if you are being paid to do a racing driver’s job, then there are high expectations by the people paying you. This means you are an asset to them because you are fast, you have an understanding of the car and how to make it faster, plus a good team player. As far as technique, everyone drives a bit different, but you have to be fast and consistent in your lap times and style. I hope that helps. Can you please talk a little about the MSA Academy in the UK and why it was set up, what are its goals? What prompted you to get so involved in it? Hi Trevor, the MSA young driver development programme was set up so that the MSA could take a more active roll in British drivers. All they did before was just take money off everyone and put nothing back. Robert Reid, who was Richard Burns’ navigator in the World Rally Championship, urged the MSA to help young British Rally drivers, because after Colin McRae and Richard Burns who were World Champions, there was no one else coming through. After 18 months of starting the scheme and concentrating on rallying, the MSA wanted to do the same in circuit racing. They put out a tender and we got the deal. I ran the MSA British Race Elite program for three years helping young drivers with their understanding of what it takes to get to the top. We then ran the race and rally programmes together and called the scheme MSA Team UK. This has now developed into the MSA Academy where the MSA has nearly 60 drivers including the Team UK drivers. I am now a consultant as the MSA took it over from my Performance Clinic. It has been great to see Sam Bird, Max Chilton and James Calado reach F1, either in a third driver roll or Max being an F1 driver. What is your routine pre-race to get in “the zone?” Do you normally find you need to relax yourself or increase your intensity? A: Hi James, Finding the Zone and staying in it is a great challenge for any competitor in sport. I find the zone by making sure my preparation is at the right level for when I need to tap into the zone. If I haven’t prepared well, so my fitness, mental strength or stillness of my mind, plus getting the car set up right to get the best from the tires, then getting in the zone is harder. My mind knows it and becomes busy with too many thoughts that make it harder to be in the zone. I have been in some incredible zone like states over the years, but sometimes it flows and sometimes it doesn’t. I find being more aware of myself really helps to be consistent in my performance. If I feel low or to hyped up, I will change myself with different thoughts and breathing to get the right balance for me to perform well. What was the most difficult hurdle you faced when trying to climb the racing ladder, and how did you overcome it? Hi Gerard, I guess I had a few hurdles in my career, but they were important for me as a person to go through. Each hurdle that came I would see a mountain in front of me and think, OK, how the hell do I get over this? But I found over time these hurdles were not as bad as my mind first made them out to be, as I always found a way to get through it. As I got older I realised that life has infinite possibilities, I just have to open my eyes to them. Which F1 driver from all-time do you most admire and why? Hi Maria, I think when I grew up I looked up to Alain Prost and Ayrton Senna. They were ahead of anyone else at that time and they both pushed each other to another level. I liked the way Prost drove, very smooth and deceivingly quick. I loved watching Senna’s commitment and faith, he did some remarkable things in the car. I was luck to have been in the same race as them, although I never actually raced against them….! Mr. Brabham, my son is eight years old, and in the past three years we have seen the upward climb of our future in motorsports and the need to establish a record of experiences in the sport whether they be wins or consistent performances. We also are beginning to seek sponsors to help in developing the opportunities to gain those experiences. What would be the most important and valuable tips you can provide about planning my son’s future in the world of motorsports he loves so much? Hi Christopher. Good question. There is isn’t just one path to take, as life can take you in different ways but still end up where you wanted to get to. Planning ahead is good to do, writing down your goals in a positive way, plus getting as many experiences as possible on and off the track. Also for your son to understand himself and how to go beyond where he is right now. I mean the level of focus he can get to, the levels of determination, hard work and believing in himself. These for me are the most important things to learn as they dictate a lot of what happens in the future. Hi David, I recently read the story that you were about to sign a contract with Porsche for 1999 Le Mans before the brand surprisingly withdrew the program. If you look back now, what kind of impact did it have on your later career? Hi Marc, I still remember those days and think of what could have been, but I was also close to the Audi drive when it started through Joest but it didn’t happen. Maybe I could have had many Le Mans victories as Tom K got the drive and I went elsewhere! To be honest, I look back and think, wow, I have been lucky to have had the career I had and am still enjoying. All these experiences have made me the person I am today, so I don’t have any regrets. What are the key components of a successful partnership between a driver and team when it comes to preparing for an event like the 24 Hours of Le Mans? Hi Marc, I am a big believer in teamwork and this is so evident in preparing for a 24-hour race. Winning a big race like Le Mans takes so many things to come together, so the team has to work as one unit. Good, smart collective thinking is the key, plus it is a place where if some egos are too big, then it will hurt your progress. As a driver you have to work with two other drivers, and if you can work together well and you put your self-worth to one side, you can achieve a lot. I was lucky to have won Le Mans three times in a row, twice with Aston Martin in GT1 and LMP1 with Peugeot. In those three races the team work was exceptional, as well as the preparation the team did before the event. This was very much the case of making your own luck and we did. What do you think are the most important attributes for a young driver as he tries to make a career in the sport? Hi Howard, there are many, but attitude is a big one. Racing is a small world and your attitude to what you do, who you are and to others is key. Hard work, dedication, having faith in oneself and always finding a positive out of a negative are all important. I believe a driver should be an asset to a team, so you need to be very good at everything you do. You have to have that desire to always improve and you will be surprised how far you can get. David, thank you for being one of many highly regarded professionals to answer questions, from racing enthusiasts of all ages, on this forum. My question concerns the evolution of most forms of motorcar racing, and mainly the top tier franchises. Gone are the days where potentially strong drivers got their seats by skill alone. There are more and more “pay drivers” that are filling the vacant racing seats. Do you think this trend will ever be broken? Thank you again for making yourself available to us fans and young drivers. Hi Jumpy, thank you for the kind words, but it is a good question. When I think about when I went through the ranks I was lucky that I didn’t have to pay towards a drive, which was a bonus because I could just focus on my driving. Since my F3 days in 1989 to today, I have always been paid to drive. It is very different now for the young drivers coming through because there is less money and more competition for the dollar; drivers of today have to find ways of bringing money to get a seat. Will it change? Good question, but I can only see the situation getting worse before it gets better. Hi David! I’ve been a big fan of F1 since ’62… got your dad’s autograph back in ’67 at Indy. Now, at age 65, I am still racing in an online SIM called Grand Prix Legends. It’s for the F1 cars of ’67. 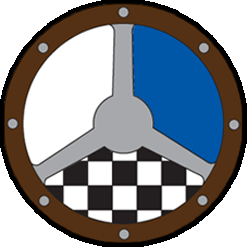 I love the Brabham, so are there any audio recordings of the Repco engine that might be available (I would like the sound to be more realistic than what I have) and is there a place one might find setup info for the Brabham BT21? I’m just looking for a baseline setup as a starting point as I know they’d have to be tweaked for different tracks. Finally, speaking of tweaks, how often (if at all) were cars set up asymmetrically? Thank you for this opportunity to ask you questions. Hi Bo, thanks for the question but I don’t know of any recordings of the Repco engine or what setups they had back then. A lot will depend on the tyre model on the SIM in relation to how the setups influence the car. I will ask my father if he remembers. He might do, I remember my F3 set up from 1989! Hi David, how does someone such as yourself stay in shape and what sort of workout routine do you try to follow? Do you watch your diet? Hi Mac, fitness is big part of the preparation of doing a good job at the track, so it is very important. I find I need to have someone with more knowledge than me and someone to push me in my training. I can train myself but it is always better that I have someone setting the targets and pushing me like crazy to reach them. I am not a big weights person, so my training consists of less weight and more reps, plus using my own body weight where possible, and core work. I don’t run because of my back, so cycling works well for me. As far as my diet is concerned, I found the best thing is to listen to my body, as it knows what it needs, but you have to tune into it. I am also lucky that I was born with a body that doesn’t put on weight easily, although this can be a disadvantage in hot conditions where I sweat a lot, as I don’t have a lot to lose…! How would you advise a driver who tends to think that “the gas pedal is on the right and it goes to the floor” versus modulating the throttle? Hi Romesh, well this depends on the car and engine characteristics, but it is all down to the amount of grip you have available from the tire. Listen and feel what the tires are doing, as the tires are designed to be driven in a certain way to get the most grip out of them. Tire grip comes from a small transition of input first, so throttle, braking and steering, the more aggressive you are the less grip you could have, unless you just want to have fun and get the tail out…! As with all sports age is an “issue” and in racing money is a major issue. Is there a step by step process for someone who is almost 30 years old with a small budget to progress in the racing world if he’s a great driver? Having talent alone is not enough; you have to work hard to achieve your goals. You have to find any angle you can, but you also you need to understand your own image or brand and ask yourself, is it consistent? It is very easy to give up hope and think it isn’t happening, but a big dose of faith and perseverance can bring you good luck.